As part of the U.K initiative to encourage smoking cessation, October is the month where focus switches to quitting smoking. 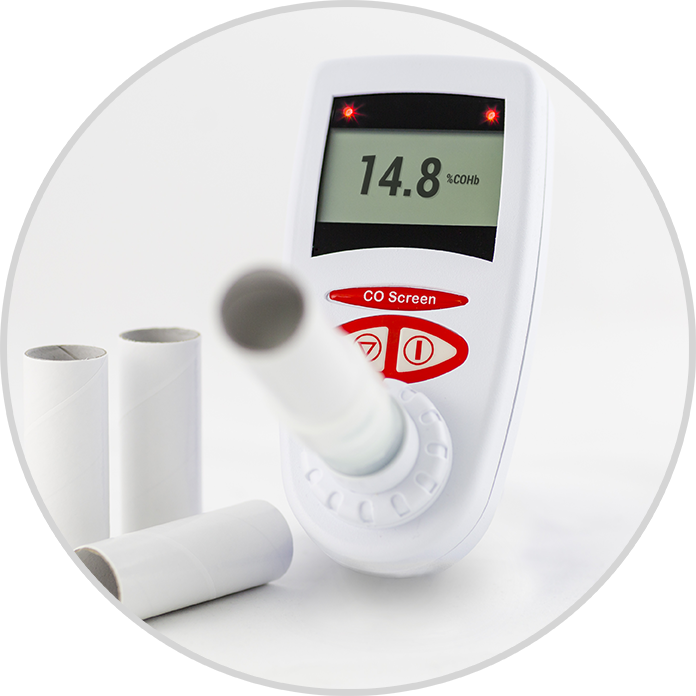 Exhaled carbon monoxide breath tests are invaluable in motivating individuals in smoking cessation successfully stopping their habit. MD Diagnostics is actively involved in many initiatives to assist healthcare professionals in their role of encouraging as many smokers to stop smoking both during the month of October and throughout the year. If you have any old CO monitors regardless of make or condition, then you can trade these back in for a brand new CO Check Pro or CO Check Baby during the months of September and October. The cost of the PRO and BABY are £160.00 each but you will receive £61 discount for each device sent back bringing the cost down to just £99.00 each.